Ahead of playing Krampusmas at Bar Loco, Newcastle on Friday 21st December with Slurs, Lost On Me and Swine Tax. 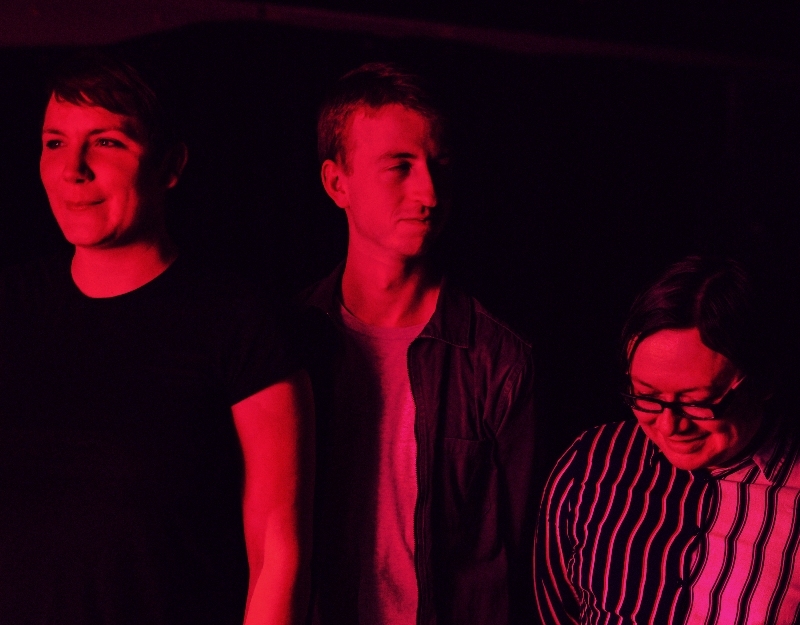 We got to know exciting new, noisy pop trio Pacer a little better. Rose: I work as a call centre Team Manager and play drums for Pacer. Charlie: Charlie (from the band). Dylan: I yell at strangers while holding a bass guitar. Rose: Step One by Steps/ABBA Gold. Dylan: State of Euphoria by Anthrax / Ancient Heart by Tanita Tikaram. Rose: Eurovision… I host a party annually and watch the semis. Dylan: Donovan. Until he plays harmonica. Dylan: Chungking Express / They Live. Charlie: Inside No. 9 if anyone hasn’t managed to watch it yet. Rose: Half Of A Yellow Sun. Dylan: Cat’s Cradle by Kurt Vonnegut Jr.
Rose: Remembering times that me or friends have made a fool of ourselves – always hilarious in hindsight. Dylan: The Radio 4 show Just a Minute. Rose: Micheal Buble – so smarmy. Dylan: Anything at all involving talking dogs. Charlie: The ability to recognise any song from just hearing it. So basically the human equivalent of Shazam. Dylan: I’d be just in time. For everything. Never early, never late. On time. Rose: Telestrations with Jeff Buckley, Jimi Hendrix and Haydn. Dylan: Joan of Ark, Lauren Bacall, Lemmy. We’d play Risk. Pacer play Krampusmas at Bar Loco, Newcastle on Friday 21st December with Slurs, Lost On Me and Swine Tax.